The continuing rise of new technologies and new ways to use them are transforming the advertising and marketing world. Marketers and advertising agencies alike are searching for answers on how best to leverage these new technologies, and many of the same themes cropped up in session after session at Advertising Week, which wrapped up yesterday in New York City. Panelists addressed burning questions over and over again, such as, How do I make the most of content and storytelling? How can I make better use of data? How can I engage my audience? How can I take advantage of mobile? Here are seven thought-proving insights from Advertising Week where panelists shared new ways of viewing content, data, mobile, and measurement. 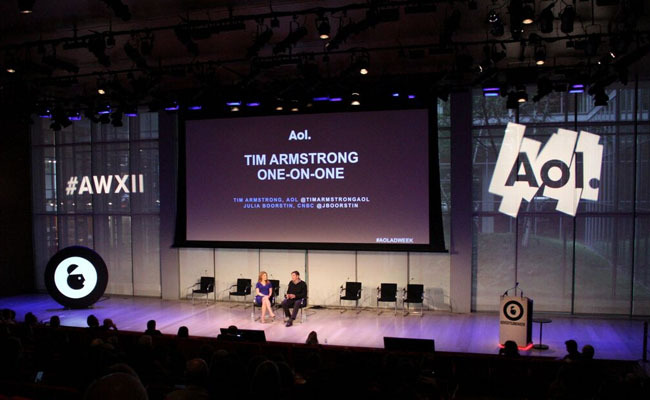 CNBC Entertainment & Media Correspondent Julia Boorstin sat down at Advertising Week for a one-on-one interview with AOL Chairman and CEO Tim Armstrong to chat all things AOL. Armstrong predicts that mobile is going to be a change that will dwarf the difference between offline and online as between 6 billion and 7 billion people are connected via mobile around the world. His vision is for AOL to become the largest mobile media company on the planet. Armstrong says that your mobile usage is a carbon copy of you, sort of like a live CRM system. This second brain, as Armstrong calls it, is a direct representation of what matters most to you. Moving forward, advertising agencies are going to have to get really good at getting their client’s marketing messages through the second brain to the first brain. And not only that, it's going to be much more expensive as ecommerce and subscriptions platforms continue to make purchasing faster, cheaper and more convenient. "You're going to have to pay a lot of money to convert someone," Armstrong said. Can an audience bureau transform data-driven marketing? Data has been an inescapable theme of Advertising Week, but Rick Erwin, President-General Manager of Audience Solutions of Acxiom, made the case that data as it is being used today falls short. There are varying levels of data quality, and data in too many cases doesn’t move seamlessly between technologies. Erwin described his vision of how this deficiency can be solved. He believes an “audience bureau” should be established that act as stewards of data, would develop a unified would unified and secure means of tracking consumers, and would be compatible with all technologies, networks, and media. “This really should be as easy as flipping a light switch,” he said. He said the use of data by marketers should resemble the petroleum industry, where all kinds of crude oil are discovered, refined into gasoline, and then pumped into your vehicle. “In our world, the gas would be consumer audience data,” Erwin said. For now, however, Erwin’s vision remains little more than a concept. “We’re just putting crude into our car,” he said. 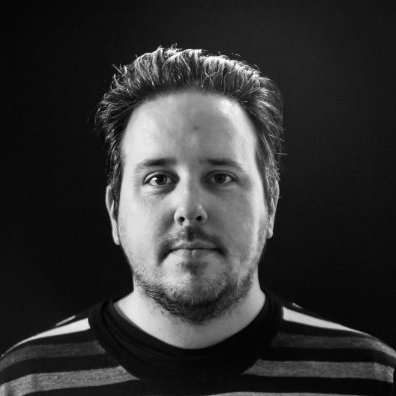 Nathan Phillips, CCO of Narrative a New York-based strategy, creative and technology agency, argues that telling stories is not enough and that marketers need to combine the online and the offline worlds for a true experience. “People don't want to be told things, they want to experience things," said Phillips. The example he shared was "The And," an interactive documentary experience that brings you into the emotional space of real couples. You can view the Emmy award-winning content piece here. The results speak for themselves with more than 4 million views and an average watch time of 90 seconds. Gayle Troberman, the CMO of iHeartMedia, talked about how important it is for brands to have an audio strategy. "We dumbed things down to 140 characters when trying to reach one of the most educated generations. That's the reason why Podcasts are working so well: it's exact opposite," she says. Many millennials treat their headphones as a god of sorts as they are now a thing of necessity along with keys and phone; you don't leave home without them. Troberman continued, "Sound is a fantastic way to connect with an audience; it's live, it's messy, and you can strip away the production and just tell a good story." Are we aiming too low with our content? For most B2B marketers, here’s how a content marketing program works. The marketer creates useful content – ranging from blog posts and videos to whitepapers and podcasts – to spur an initial engagement with a prospect. Ideally, that prospect will share an email address and consume more content from the marketer and eventually become a lead or even a sale. While that approach is proving to be effective, a panel, called Big in Content and led by Sir Martin Sorrell, WPP’s chief executive, served as a challenge for marketers think bigger. For instance, music producer Alex da Kid, who was on Sorrell’s panel, discussed a partnership with Jeep that has seen a song he produced, “Renegade,” become a big hit while being used in a TV spot for the automotive manufacturer. Maxine Lapiduss, CEO of Storyverse Studios, said marketers need find new ways to think about storytelling across different platforms. Her company helps brands create and promote their own "storyverse," and her approach makes a lot of sense. Traditionally when you think of storytelling, there's a beginning, middle, and end. Lapiduss asks, why does it have to stop there? As we search for interesting new ways to tell stories, why not just add life to and expand upon the stories that are already in place? That's where the storyverse comes into play. A storyverse is a universe of content that works together through multiple points of entry, user generated content, video, social, mobile etc. The example she reference was a project called Find Me I'm Yours, which is an interactive, multi-platform entertainment experience with an eBook novel at its core. The end result is more time to give your content a fighting chance and push this content out in a more effective way.